The earliest records show the band using the catchall title of ‘West London Band’. 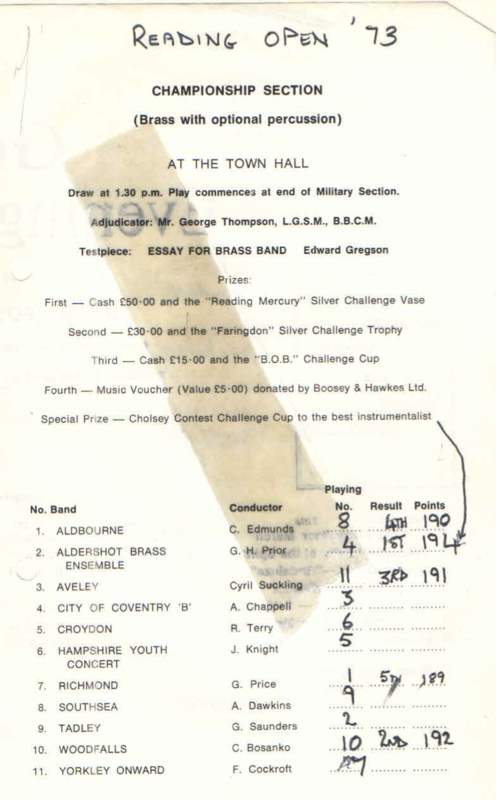 Conducted by A. Ashcroft, the band placed 5th at the Crystal Palace Contest in the ‘Junior Shield – B’ section. The piece was ‘Ballads of the Twentieth Century’ by Haydn Wood.